Sting is back for another teaching stint. 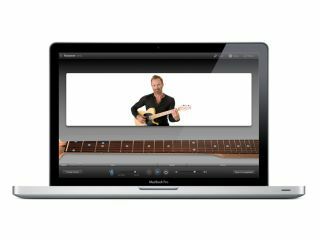 Users of GarageBand '09 now have access to three more Artist Lessons, but before you get too excited, we should say that two of these come from Sting. Having already contributed Roxanne, you can now learn Message In A Bottle and Fragile from the ex-Police man. Sarah McLachlan's Angel is the other song to be added. While it's good to see that Apple is supporting the Artist Lessons artist concept, some bloggers have expressed disappointment that there are still only 13 songs available, and that they don't cover a particularly diverse musical range. They suggest opening up the platform so that people could create their own Artist Lessons, which sounds like a good idea. However, given that one of the big sells here is the high production quality, we suspect that Apple will continue to retain full control. It'd certainly be nice to see a few more artists getting involved, though. When we attended an iLife '09 launch briefing, we were told that other people had been lined up, so we continue to hope that their lessons will arrive soon. And if Apple is looking for inspiration as to who to recruit next, MusicRadar has already picked out 10 Artist Lessons we want to see.